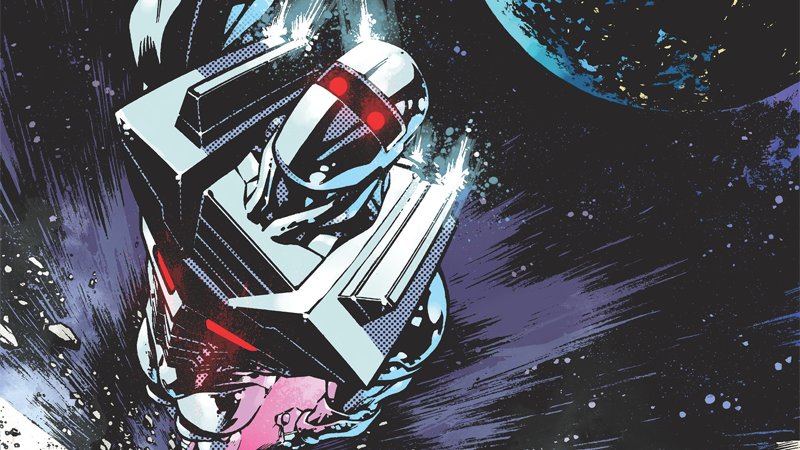 ROM the Space Knight Is Returning To Comics! If you saw the new comics coming your way next May for Free Comic Book Day 2016 earlier, you might have noticed someone familiar among the special issues: the classic sci-fi hero ROM. Because yes, the Spaceknight is back—but not at Marvel. Yes, after 30 years away from comics—where it was Marvel who brought Hasbro’s shiny toy figures to bizarre life in a cult classic tie-in comic—ROM has a new home at IDW for a brand new series that will begin in June next year from Chris Ryall and Christos Gage, with art from David Messina. Image credit: FCBD Rom the Space Knight #0 cover by Zach Howard and Nelson Daniel. But before that, Rom will make return slightly earlier, with a 10-page story being issued for Free Comic Book Day on May 7th. The short story will set up Rom’s story in the ongoing series (and is handled by the same creative team of Ryall, Gage, and Messina), and sees Rom arrive on Earth to fight a deadly threat—the Space Knights oldest foe, the Dire Wraiths. It’ll be interesting to see where IDW takes this series—Marvel is at least playing with the name with a Venom: Space Knight book beginning in January—but man, it’s kind of amazing to see Rom back in action all these years later.